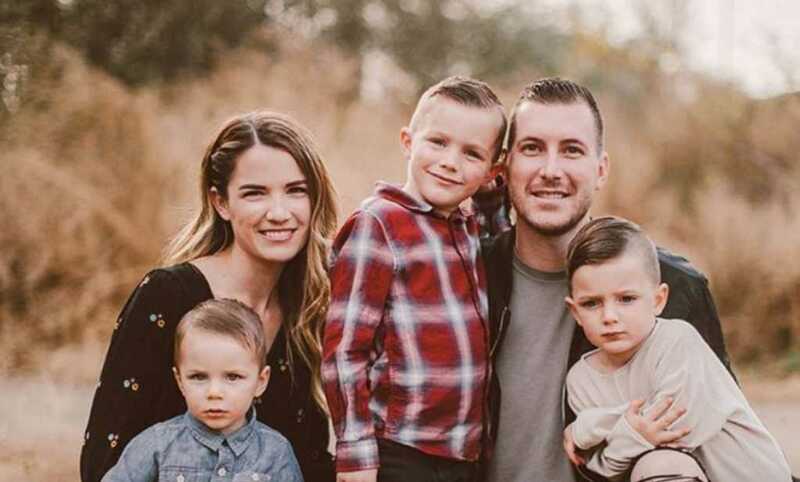 The wife of a young California pastor who took his life over the weekend has spoken out about her grief. Andrew Stoecklein, 30, died Saturday after attempting to kill himself Friday night. Stoecklein was the senior pastor at Inland Hills Church in Chino, California, and had been open about his battle with depression and anxiety. His wife, Kayla, took to Instagram Monday to pay tribute to the father of three. “Last night, the love of my life, the father of my children and the pastor of our incredible church took his last breath and went to be with Jesus. It wasn’t the miracle I was hoping for but he is now in heaven with his dad, free of pain, free of depression and anxiety,” she wrote. Kayla asked for prayer for her and the boys, noting that she was “completely heartbroken, lost, and empty” following her husband’s untimely death. In a recent talk, delivered on August 12, Stoecklein appeared alongside his wife to inform the church about some of the personal issues he had been facing over the past several months. He also took the opportunity to address the absolutely devastating mental health crisis that continues to plague our nation. Stoecklein explained that his dad, the founding pastor at Inland Hills, had been diagnosed with leukemia a few years back. After his father, a key spiritual leader and mentor to Drew, had battled the disease for about four years, the worst case scenario became a reality – David Stoecklein died on Oct. 9, 2015, aged 55. The church leader then disclosed that his family was fighting attack on another front; they were being stalked. Not only this, but the person who had been harassing him and his family online actually “showed up to his house,” subsequently forcing them to move, and causing Drew to unravel psychologically. “That’s when we really started to know that something wasn’t right,” he added. The pastor explained how he passed it off as “jet lag.” But then, Stoecklein hit a crisis point. Drew explained how he initially “refused to go to the hospital,” before being convinced to do so by two separate doctors. It was an incredibly honest look inside the mind of this suffering pastor. And there is no doubt that his message will affect great change in the uphill battle against the stigma that still surrounds mental illness, particularly in the church. Such a heartbreaking situation. We pray, Lord, that you will give the family peace at this painful time.